This cropped shirt is a must-have for any occasion. 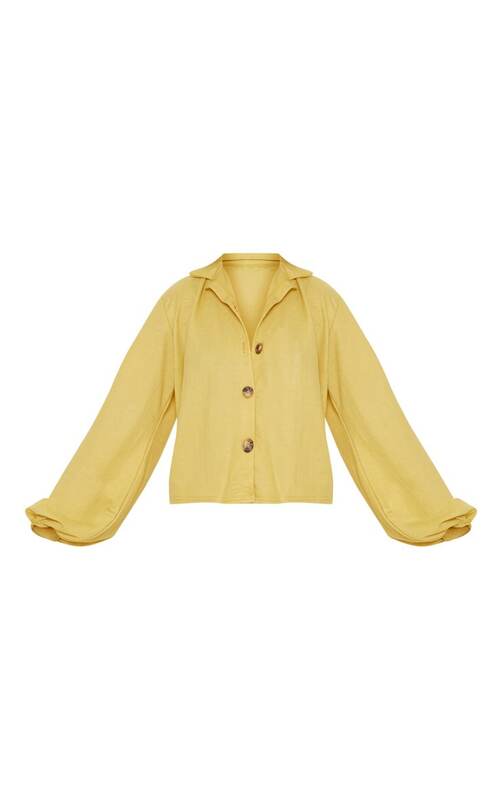 Featuring a mustard material with ballon sleeves, button fastening and a cropped length. Team this with your fave jeans and heeled boots for an off-duty look we are loving.